Our orthotics and biomechanics clinic in Hamilton near Glasgow and our biomechanical assessment clinic in Glasgow are the only clinics in Scotland that provide a free biomechanical assessment, and have won the whatclinic.com customer service award for the last 4 years. 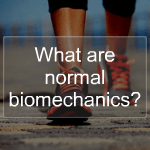 A biomechanical assessment is the process of assessing the movement and alignment of the body. It is undertaken to understand why certain movements, joint alignment, muscle strength and muscle imbalance all contribute to the efficiency and quality of movement for an individual. This assessment then allows the Podiatrist or Orthotist to give a diagnosis of the problem and how it may be treated. 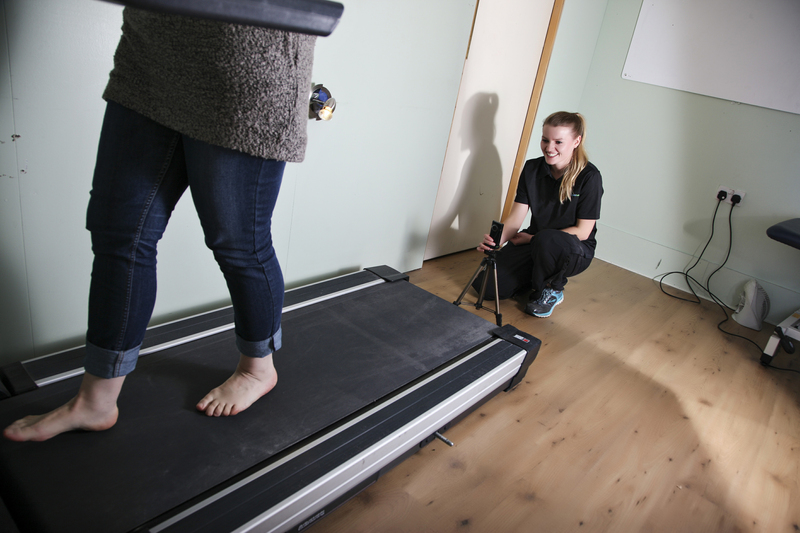 There are many Podiatrists, Physiotherapists, Orthotists and other clinicians who offer a biomechanical assessment, but cannot provide the true specialist treatments such as custom orthotics. Instead, many of these clinicians provide orthotics by having a 3rd party make these on their behalf. At the Treatment Hub clinc we have our own orthotic lab where we manufacture, adjust and repair custom orthotics while you wait. We see this as a particular strength of our clinical team, as we have both the clinical and technical biomechanics and orthotics knowledge to provide a one stop shop approach for your podiatry, biomechanics and orthotic needs. Any clinician undertaking a biomechanical assessment should tailor the assessment to be relative to the patient's activity level and any underlying condition they may have. 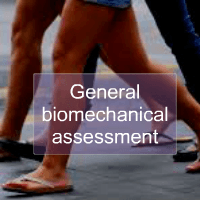 As such we have described some of the differences in the biomechanical assessment process and why the assessment should consider the activity of the patient. Neurological biomechanical assessment (e.g. 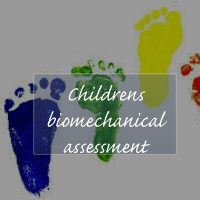 stroke, cerebral palsy, polio or drop foot):- The alterd biomechanics of patients with neurological assessment involves very specialist assessment skills. This involves video gait analysis to detemine the affect of any neurological issues on walking. Many patients with neurolgical issues such (e.g. stroke) have problems with both the swing and stance phase cycles of normal bimechanics. An Orthotist has very specific skils in assessing and managing these problems. 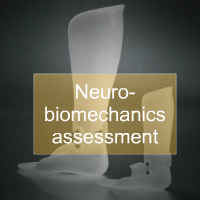 To fnd out more about our specialist neurobiomechanical assesment, and the use of specialised ankle foot orthotics click on our neurobiomechanical assessment link. 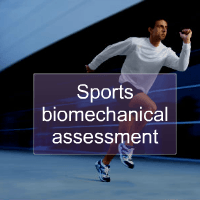 Why choose us for your biomechanical assessment? Sport Orthotics are the only orthotics and biomechanics clinic in the Glasgow area and indeed Scotland who provide a full free biomechanical assessment. We are so confident in our ability that we do not charge for follow up appointments for the 3 months following supply of your orthotics in our clinic in Hamilton near Glasgow. All reviews and adjustments for 3 months after supply of orthotics are free of charge always. We are the only Orthotics and biomechanics clinc in Glasgow and Scotland who have both Podiatrists and Orthotists working jointly to ensure the specialist knowledge from each discipline is provided to our patients. Our clinicians manufacture and finish their own orthotics on site in Hamilton (near Glasgow) whilst you are in attendance, meaning we take full responsibility for the finish and design of your orthotics.